Its been a while but its official now. SONY spent €1.05 billion on some 50% shares of Telefonaktiebolaget LM Ericsson. It really doesn’t matter to us. What we need to know is no more SONYERICSSON its SONY from now on, so don’t confuse yourself when you see SONY mobile devices on shelves with cheapo chinese clones. Recently released Xperia S trademarked SONY and indicated the change of winds to come. But current SonyEricsson bearing phones are gonna be sold parallel to the newer Sony range smart phones. SonyEricsson partnership brought us bold & young designs; perfect for teens and creative personalities. Now will Sony change directions and shoot off-target or revolutionize the mobile platform? Symbian Carla and Donna – Next For Nokia Phones? 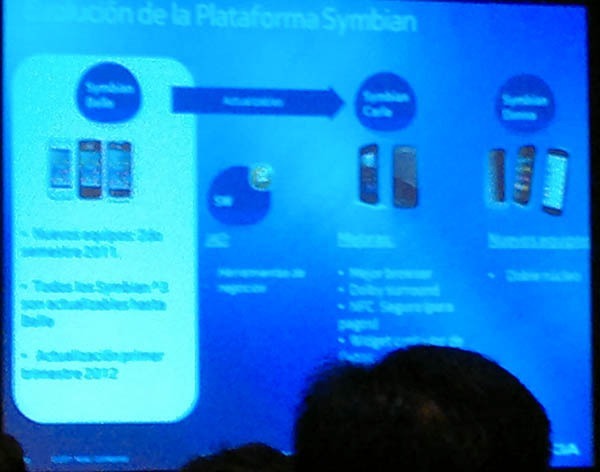 At the Developer Day in Mexico, Nokia shed some light on the next two Symbian versions – Carla and Donna plus further information on the Symbian Belle update rollout. Symbian Donna will be exclusive to dual-core processors, but at the current release intervals, most probably we won’t see it before the end of 2013 or the early 2014. We wonder how many cores the mobile processors will offer by then, but now we know Nokia’s Symbian smartphones three years from now will have two cores. Well, this is just not right, but Nokia has always been good at optimizing the Symbian OS for far less capable hardware as the competition is using. 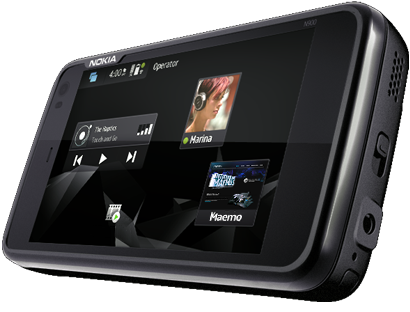 As far as the current Symbian Belle is concerned – Nokia X7-00, E6 and 500 are going to get the update until the end of this year, while the Symbian^3 (already updated to Anna) devices will receive it in Q1 2012. It seems Belle will be the last update for the Symbian^3 and Anna generation. Nokia plans to abandon Symbian in 2016, so we guess there won’t be much left to see after the E(ve?) version. But the platform has at least four years to live, the new handsets and Symbian versions all have warm reception, so who knows how the things will turn out in the future. Nokia : HumanForm , the future? HumanForm was created in a joint effort between Nokia Design and Nokia Research Center to translate the most promising new nanotechnologies into meaningful user experience, prototype those for decision making; and transfer and set aspiration for future portfolio. Project is a key to bring significant user experience benefits to the market thereby creating mindshare and value share through nanotechnology enabled experiences. HumanForm is a visionary solution for a dynamically flexible device beyond touch screen and voice communication where technology is invisible and intuition takes over. Natural interactions are enabled with kinetic user interface. 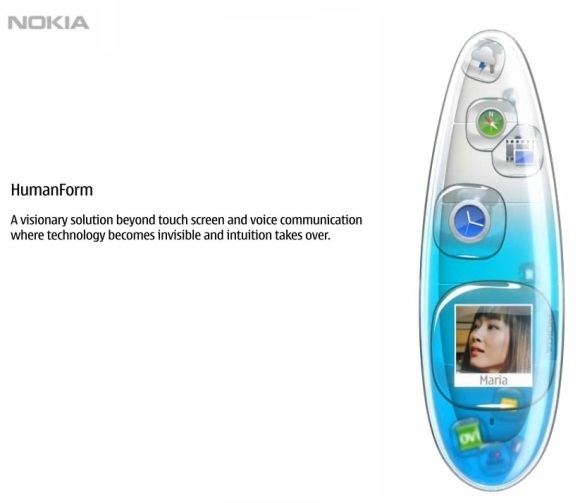 HumanForm concept and a follow-up Nokia Kinetic Device prototype were launched in Nokia World 2011. Watch how the worlds most beautiful smartphone is born. Enjoy the video after the break.